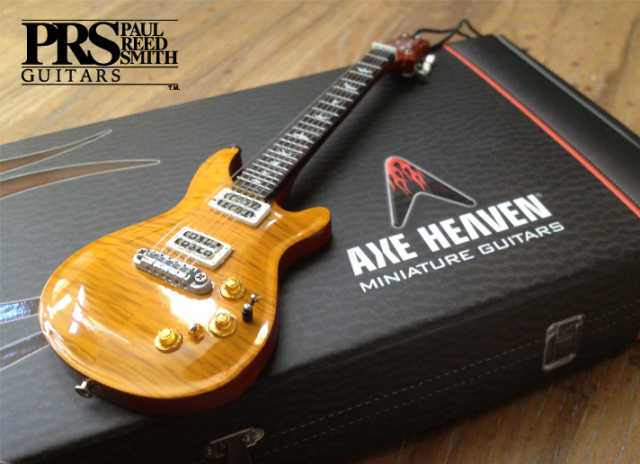 In 1985, luthier Paul Reed Smith started a small guitar manufacturing company in his workshop, based on two prototypes he created and marketed to music stores along the East Coast. Today, PRS Guitars, based in Maryland, sets the standard of quality in the guitar industry and its musical instruments are played by some of the biggest name in the business. 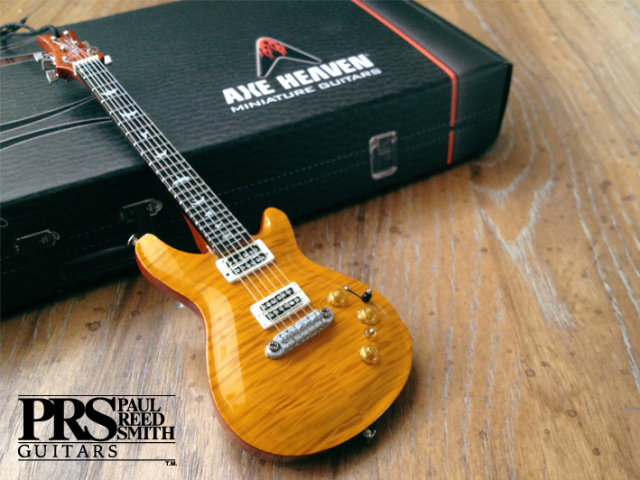 The custom promotional guitar ornaments that we created in the AXE HEAVEN® Custom Shop for PRS are individually handmade from solid wood with all the detail of the original PRS S2 Series Guitars. 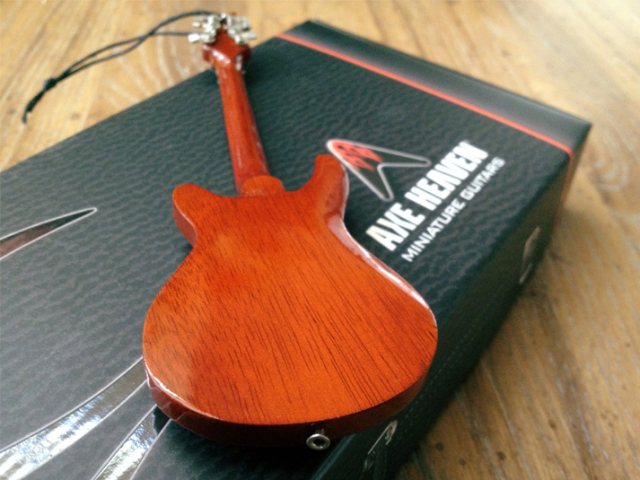 including the inlays, headstock and flame top finish. 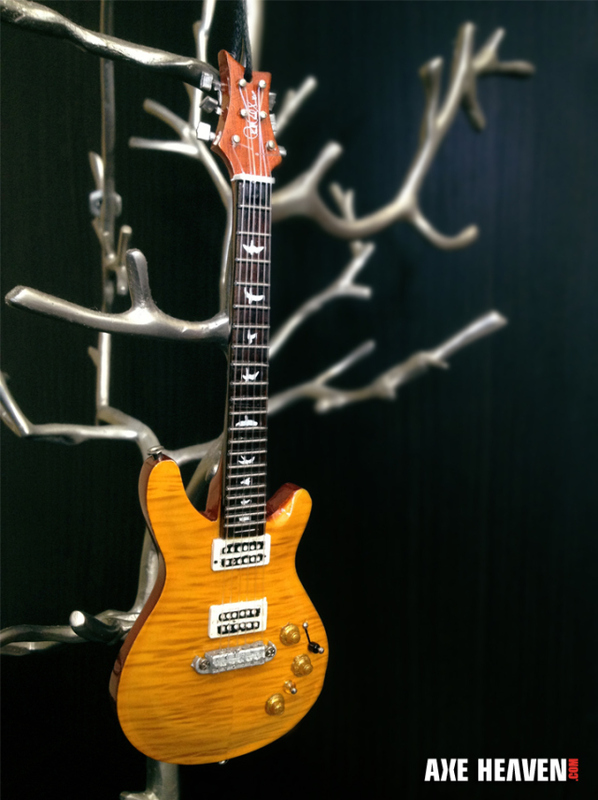 This unique 6″ guitar ornament collectible is exclusively sold through the PRS online store. We produced a very limited quantity, so they may already be sold out. 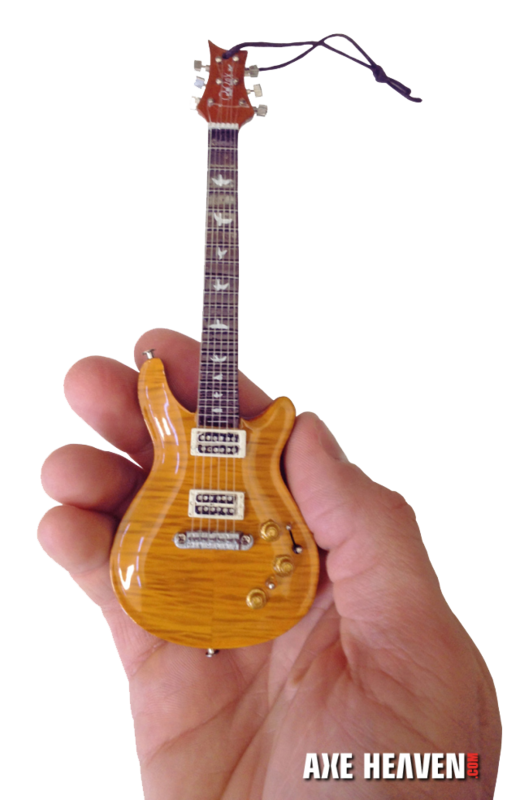 I had a few questions about the PRS Custom 6″ guitar ornaments. My fiancé loved a guitar that you previously made, it’s a translucent violet/pink color but you no longer sell them on the site, so I was wondering if it was possible to make a replica ornament for this Christmas? If this is not an option, would you mind linking me to a page that has available ornament designs?